Home » Food » Breakfast & Lunch Daily! 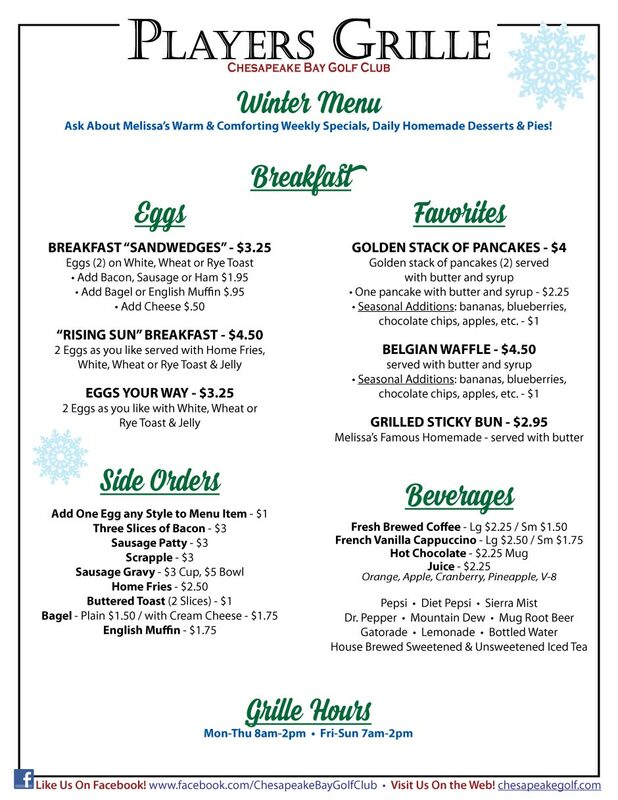 Winter Breakfast & Lunch Menu is Here! Delicious favorites by Melissa. Bring your staff, friends, coworkers and family out to Breakfast or Lunch at the Player’s Grille! Enjoy our warm and cozy room – and a tasty Winter Menu! 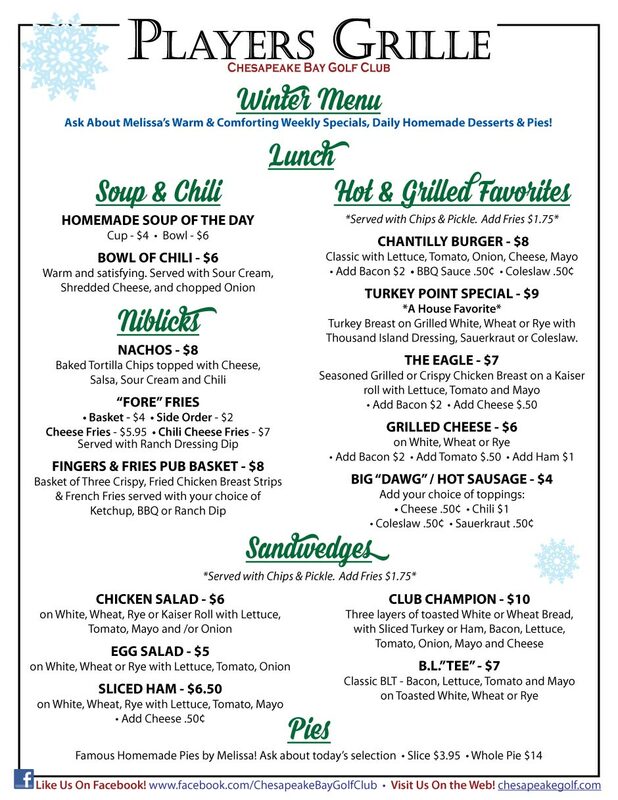 Winter Menu subject to change and availability. Great Option to Play More Golf at Chesapeake Bay Golf Club & Save!